Senators on Tuesday expressed their disappointment over the Department of Justice’s (DOJ) move to dismiss the criminal charges that have been filed against several high-profile drug suspects saying this giving the public mixed signals on the Duterte government’s sincerity in the war against illegal drugs. 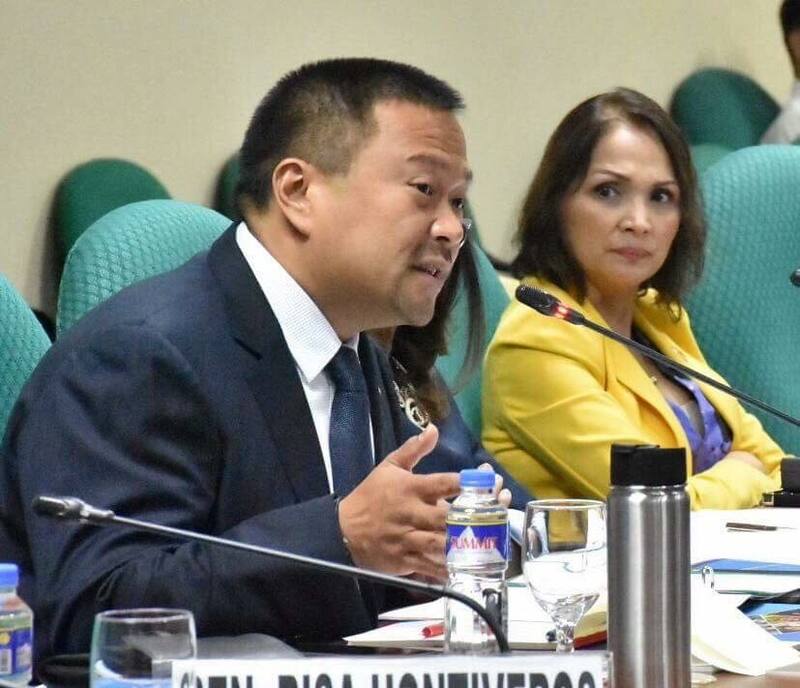 Senator Joseph Victor “JV” Ejercito said he is puzzled by the actions of the DOJ when it decided to clear Kerwin Espinosa, son of Albuerra, Leyte mayor Ronald Espinosa, who was killed at the height of the Duterte government’s crackdown on narco-politicians. 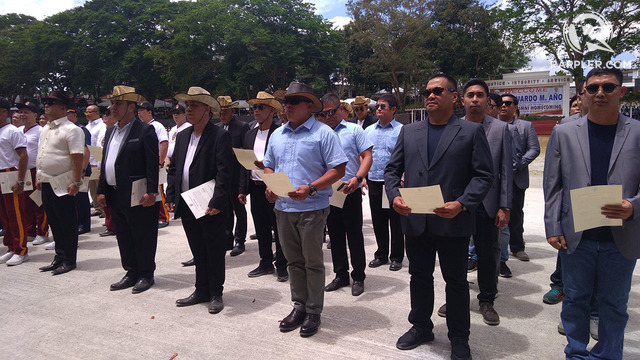 “I am puzzled by the decision of the DOJ to clear Kerwin Espinosa, Peter Lim, Peter Co and others of charges related to the narcotics trade,” Ejercito said. “Kerwin confessed during the Senate hearing to transacting illegal drugs as early as 2005 with his earnings reaching P40million -P50 million annually,” he pointed out. Ejercito said Kerwin, who is codenamed as “Batman” also admitted bribing government and police officials in order facilitate his illegal activities. 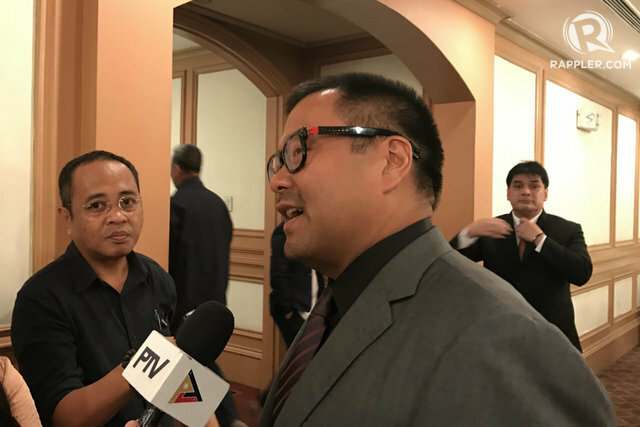 “At the very least, this decision sends mixed signals to the public in terms of our resolve to wage war against anyone dealing with illegal drugs, regardless of stature in life and the friends they have in high places,” Ejercito said. “I sincerely hope that the DOJ will continue to gather more concrete and competent evidence proving that respondents and other individuals are indeed involved in illegal drug activities,” the lawmaker said. Sen. Paolo (Bam) Aquino IV, a member of the opposition, echoed Ejercito’s view saying that freedom for the drug lords is a “grave injustice” to over 20,000 personalities killed in the government’s brutal drug war. Aquino said the release of these high-profile suspects has rendered the administration’s anti-illegal drug campaign futile. “Ano pa ang halaga ng pagpatay sa libu-libo nating kababayan, kung pakakawalan din lang ang mismong pinagmumulan ng droga? (What happens now to the thousands of our fellowmen who got killed, if the government would release those who are the true source of these drugs? )” Aquino pointed out. “Ngayong pinalaya na ang drug lord na tumestigo at umamin sa kaniyang paglahok sa drug trade, may duda sa giyera kontra droga ng administrasyon (Now that they freed the drug lord who testified and admitted his participation in the drug trade, more doubts are raised on the administration’s war on drugs),” he said. Aquino also said the DOJ’s decision has also bolstered the belief that the Philippine National Police’s (PNP) double barrel program, or the so-called “Oplan Tokhang” was only meant to oppress poor Filipinos and not those who are rich and have connections. Sen. Antonio Trillanes IV also said DOJ’s exoneration of these known drug lords is yet another proof that what Duterte unleashed upon the country is a fake drug war. “Kapag mahirap, walang tanong-tanong, patay agad. Kapag drug lords at kumpare pa ni Duterte, may due process na, abswelto pa sa kaso (when it comes to the poor, no more questions asked, they just kill. With these drug lords and friends of Duterte, they accord due process and exonerate them from charges),” Trillanes pointed out. “Kapag kay Sen. (Leila) de Lima, na kalaban sa pulitika, kahit nagka buhol-buhol na ang mga scripted na testimonya, sampa agad sa korte para makulong. Mr. Duterte, pinaglololoko mo ang taong bayan (When it comes to Sen. Leila de Lima who is a staunch critic, even if the script of their testimony against her won’t match, they immediately filed cases before the courts to jail her. Mr. Duterte, you are merely fooling the people),” he added. “More so, (because) Peter Lim was identified by the President as a big fish and Espinosa openly admitted his drug dealings,” Recto pointed out. Senate Majority Leader Vicente Sotto III, likewise, rejected the DOJ’s move. “Perhaps Congress should look into the dismissals and find out what to do to strengthen the laws or find out if there was disregard of laws in prosecution. Hindi pwede yun, (That’s unacceptable),” Sotto stressed. Senator Sherwin Gatchalian said he too was very surprised to find out why even self-confessed drug lord Kerwin Espinosa was exonerated. “This runs counter to the administration’s war on the drug lords. Government needs to work together to jail these drugs lords,” Gatchalian said. “Instead of pointing fingers and dwelling on technicalities, cooperation among agencies is the best method to clean up the street of illegal drugs. This is a big setback in achieving a drug-free society in our country,” he added. Sen. Panfilo Lacson, however, noted that while the panel of prosecutors has dismissed the case for lack of probable cause, it is still subject to a review by the Justice Secretary. “Hence, the same may still be reversed. Anyway, based on the evidence unearthed and presented during the Senate hearings, at least in the case of Kerwin Espinosa, I would like to think that probable cause would have been clearly established,” he said. Sen. Grace Poe said she cannot help but be disturbed by the basis upon which the DOJ panel made its recommendation to dismiss the drug charges against Espinosa and others. “For one, Kerwin Espinosa, himself admitted before a Senate inquiry that he was indeed involved in the drug trade. How a self-confessed drug lord like Kerwin Espinosa can be exonerated by the State, is perplexing. “It reflects the sloppiness of the police’s investigation and case build up against these drug lords,” Poe stressed. “If this DOJ decision is affirmed by the Secretary of Justice, this would be an insult to the brave policemen who have died in legitimate anti-drug operations,” she warned. NextCongrats my Seatmates Sen. Sonny Angara and Sen. Joel Villanueva for leading the Senate Defenders to the UNTV Cup championship! Proud of you Brods!